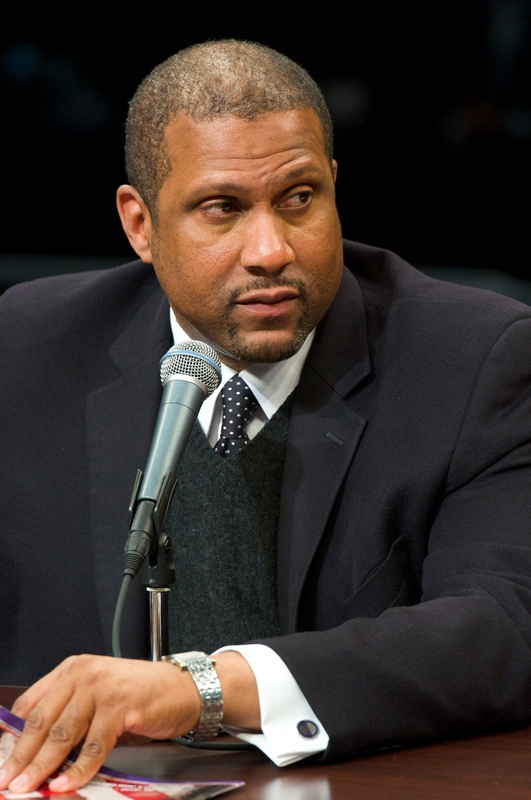 From his celebrated conversations with world figures to his work to inspire the next generation of leaders, Tavis Smiley — broadcaster, author, publisher, advocate, and philanthropist — has emerged as an outstanding voice for change. Smiley is currently the host of the late-night television talk show Tavis Smiley on PBS as well as The Tavis Smiley Show and Smiley & West from Public Radio International (PRI). In his book FAIL UP: 20 Lessons on Building Success from Failure, now available in trade paperback, Smiley steps from behind the curtain of success to recount 20 instances of perceived “failures” that were, in fact, lessons that shaped the principles and practices he employs today. Readers will find a kinship in Smiley’s humanness that inspires, informs, and reminds us of our inherent ability to achieve and grow despite life’s inevitable setbacks. In his latest New York Times best seller, The Rich and the Rest of Us: A Poverty Manifesto, Smiley and his co-author Dr. Cornel West take on the “p” word — poverty. In this game-changing book, they challenge all Americans to re-examine their assumptions about poverty in America — what it really is and how to eradicate it. Smiley is the presenter and creative force behind AMERICA I AM: The African American Imprint. This unprecedented traveling museum exhibition, which debuted in January 2009, touring the country four years now, celebrating the extraordinary impact of African American contributions to our nation and the world, as told through rare artifacts, memorabilia, and multimedia. Smiley’s achievements have earned him numerous awards and honorary doctorate degrees, including one from his alma mater, Indiana University. In 2009, Indiana University named the atrium of its School of Public and Environmental Affairs (SPEA) building “The Tavis Smiley Atrium.” Smiley is also the recipient of the prestigious Du Bois Medal from Harvard University and the 2009 Interdependence Day Prize from Demos in Istanbul, Turkey. TIME magazine honored Smiley in 2009 as one of “The World’s 100 Most Influential People.” This year, 2013, Tavis Smiley celebrates 10 years on PBS. Somehow, as King implored 50 years ago, we must awaken the sleeping conscience of America. Some Democrats feel betrayed by Brazile’s insider account of the election debacle, and some top Clinton staffers wrote an open letter responding to Brazile, saying they are “shocked” to read some of the claims she’s leveled against Hillary Clinton and her campaign. At long last, we must to come to terms with the fact that black folk have outlived their initial and intended purpose in North America. That slavery was barbaric and profane, secession was an egregious and abominable act, the war is over, the confederacy lost, and even in the absence of any real atonement, America is better for it. Every summer, Tavis Smiley maps out the musical acts he wants to see, and then he goes on the road to see them. Along the way, he's had some incredible experiences. Smiley: Why do we need data to tell us what black people have been saying for years? Tavis Smiley has lived the grievances of black Americans and speaks about it from a place of truth, but for many White people the story of black disrespect is unbelievable — until there's data proving it. Smiley: Democrats now have a 'soft spot' for Comey? Are you kidding? At the risk of sounding disinterested or unconcerned about yet another bizarre and brazen act by President Donald Trump, which raises myriad questions about his motivations, particularly as it relates to the investigation about the role Russia may have played in our presidential elections, good riddance to James Comey. Trump’s flagrant and foul dismissal, notwithstanding, Comey should have taken a seat, several seats, a while ago. Tavis Smiley writes that we can all help our country confront hard questions if we just open up our hearts. Smiley: Are you living a life in service to a just cause — or just because? As I sat waiting to speak at Al Jarreau's funeral, I thought of a conversation we once had where he shared with me his view about the "thumbprint on our throat." American is fast becoming American't.